You can’t beat Indoor Cricket for a great night’s entertainment for adults and a perfect game for juniors. Played on a synthetic surface incorporating a full-length pitch, fully enclosed by netting, which allows for high scoring excitement with no delays. As in traditional cricket, the basic skills of running, hitting, fielding & throwing are the backbone of the game. But an innovative format and scoring system ensures equal participation by all players and continuous involvement. 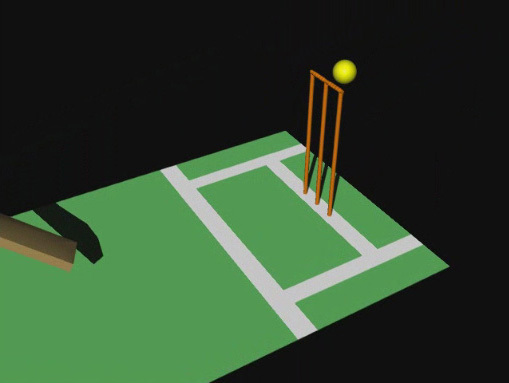 The new format of indoor cricket is taking Australia by storm. Teams consist of six (6) players with an optional reserve (pinch-hitter). Games consist of two innings of twelve (12) overs. 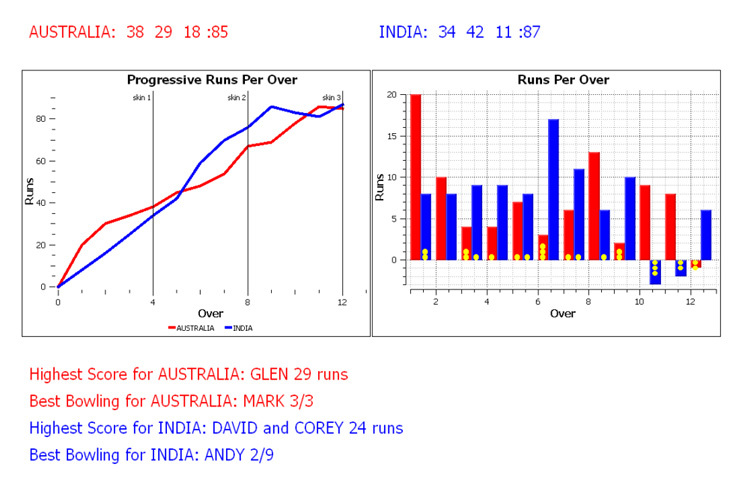 Each player bowls 2 overs and bats for 4 overs allowing equal participation for all involved. Dynamic new scoring zones and players interchanging results in non-stop action! Competitions are available for senior Mens and Mixed or junior teams of all standards – novice, social or competitive. See our Sports Timetable for scheduling and pricing details, download an Indoor Cricket Rules Summary and nominate your team online or make an enquiry if you require further information. Senior Action Cricket 6+ competitions run on Tuesdays, Wednesdays, Thursdays & Sundays. Junior Action Cricket 6+ competitions run on Mondays, Tuesdays, Wednesdays & Fridays. 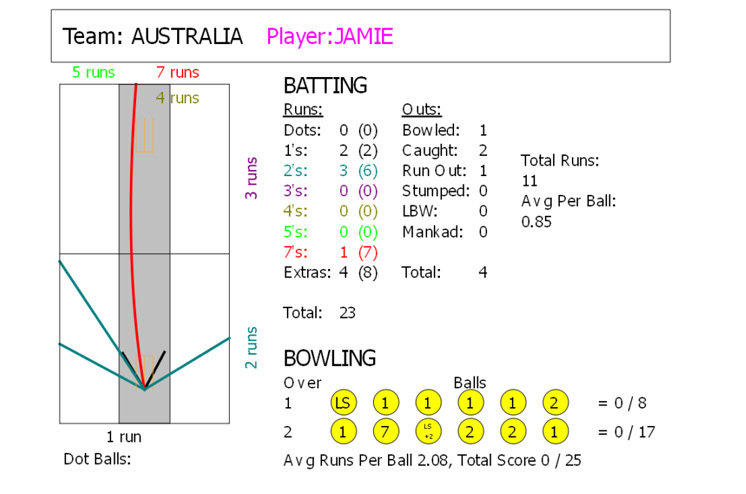 DATASCORE - CRICKET PLAYER STATISTICS! 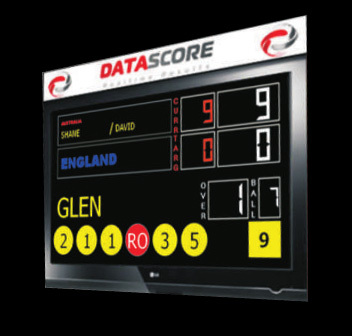 Box Hill Action Indoor Sports has new digital LCD scoreboards, incorporating the latest software from DATASCORE SCOREBOARDS PTY LTD which includes players statistics for every game - with each player receiving their individual print-out at the end of the game. Player stats reports show both batting and bowling statistics and graphs for each individual as well as team run rates and comparisons.